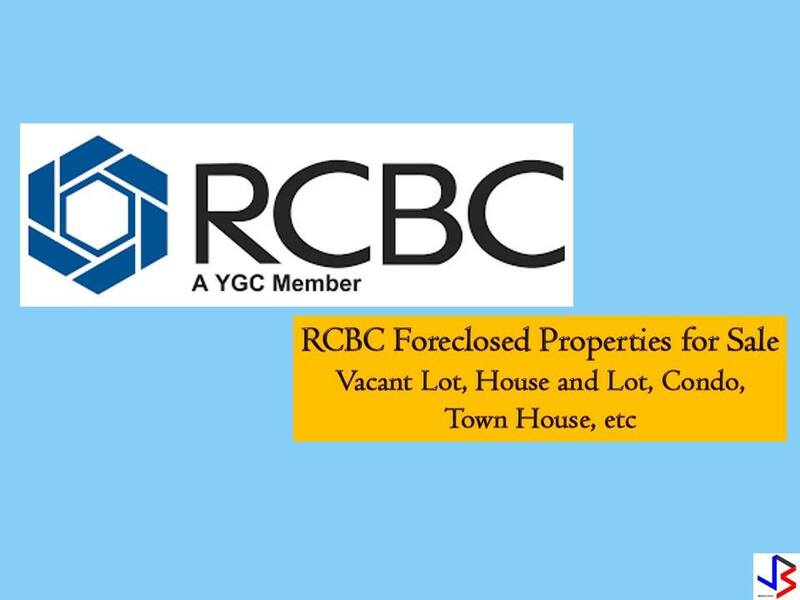 THOUGHTSKOTO Thoughtskoto : List of Foreclosed Properties for Sale from RCBC! List of Foreclosed Properties for Sale from RCBC! The following are foreclosed properties from Rizal Commercial Banking Corporation (RCBC) that you can purchase for this month of January 2019. Real-estate properties are a good investment nowadays since the value is increasing after a few years time! There are many properties on the list where you can choose from. The following are a list of foreclosed properties for sale from RCBC! If you are a cost-conscious buyer, these properties are ideal for you! Or visit RCBC Savings Bank website!